The early settlers who founded divorce mediation came from many backgrounds. Many came from the mental health field. That was understandable. It was mental health professionals, charged with the responsibility of picking up the pieces of families after lawyers got through with them, who had seen the damage caused by adversarial divorce proceedings, first hand. Then, too, there were lawyers, slowly in the early years, but increasingly so as time went by. That was understandable as well. After all, there was a significant legal piece in divorce mediation. The subject matter that would make up the bulk of the mediation (decisions relating to child support, maintenance, the division of property, etc.) were necessarily affected by the law. Then too, the parties’ ultimate agreement had to be reduced to a written legal document. Finally, the parties’ divorce necessarily involved the law and the courts. But they came from other backgrounds as well. There were clergymen, accountants, financial planners, retired businessmen, former real estate brokers. There were even some who could not be identified that precisely. They were just the interested others. They made up a somewhat mismatched army. To be sure, over time, there were two groups that clearly came to be identified with the field, mental health professionals and lawyers. But though they were unified in purpose, they were unified in little else. Their previous experience gave them little in common. They certainly had not had the same training. They did not even think in the same way or speak the same language. In fact, they were somewhat strange bedfellows. This was not a problem in the early days of divorce mediation. To be more accurate, it was, but no one chose to see it as such. Thus, their answer was to try to keep their lines clean. This was much harder for mental health professionals to do. Since mediation was not a form of therapy, but was what lawyers had done all along, just in a different form, lawyers could perform both the mediation component and the legal component. Mental health professionals, on the other hand, could not. Their answer to this was either to team up with a lawyer or, if they did not do that, to refer the couple to a lawyer to prepare their agreement or have them go out and get their own lawyers. Nevertheless, there were problems with this solution. To begin with, it was not possible to separate the mediation and legal aspects of the process that simply. After all, legal questions inevitably came up in the course of the mediation. But there was also the danger that the mediator would lose control of the mediation; that the lawyers who now became involved would undermine the mediator’s efforts and the agreement that he or she had so carefully helped the two of them put together. Mediators’ answer to this was to send the parties off to “mediator friendly” lawyers. To be sure, that only solved one problem by creating another. The two of them were supposedly being sent off to assure that they had independent representation, but the lawyers they were being sent to, being beholden to the mediator who had referred the couple to him, was not really independent. He or she certainly wouldn’t be thanked for criticizing their agreement; nor was he likely to get any more referrals. Mediators tended not to see this problem, even when it was called to their attention. For reasons that are not very clear, “certification” has recently become the call to arms in the field of divorce mediation, and it is being pushed with great fervor and intensity on both the national and local level. Divorce mediators are tired of being the step-child to the rightful heir. They want to take what they consider to be their rightful place in the pantheon of accepted practice rather than being referred to as just a “half-way” house on the road to this or that. The problem, of course, is that the practitioners of those other processes have a degree and a license (as a lawyer or as a mental health professional) or a certification (as a financial planner). That is what permits them to call themselves a “profession,” and the public to view them as such. Perhaps, if divorce mediation had one of those honorific titles as well, the general public would view it in a different light; would view it, like the practice of law and social work, as a profession. Perhaps, that is what divorce mediation needs to finally get it off the ground (to get divorce mediators more business). 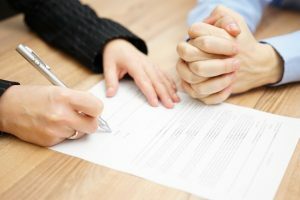 There is no such thing as a license to practice divorce mediation (Since a license involves the state, and since the laws that a state enacts are greatly influenced by the financial interests of lawyers, that is not something that divorce mediators should be advocating for). Though there are degrees in dispute resolution generally, there are no degrees in divorce mediation, specifically. All that leaves is certification, and that has become the rallying cry of all of the various associations of divorce mediators. As it is argued by some that the right to bear arms guaranteed by the Second Amendment to the United States Constitution will be undermined by any attempt to place limits on the use of guns, so is it argued by its advocates that divorce mediation’s very survival is dependent upon its certification, as it is only that certification that will justify divorce mediation to refer to itself as a “profession” and, as such, on a par with the legal profession and the mental health profession. What does someone have to do to become certified in a particular field of discipline? As a general rule, he or she has to do two things. First, demonstrate the mastery of the body of knowledge which is the subject matter of the field in question. Second, demonstrate mastery of the skills involved in the practice of the field in question. In keeping with that, the proponents of certification have proposed two things. First, there will be a written or oral examination to determine that the applicant has mastered the subject matter in the field. Second, there will be a professional testing service that will be employed to observe the applicant to determine that he or she has mastered the skills involved in the practice. That is where divorce mediation’s divided house comes in. As I said, up until this point divorce mediation has been able to hobble along without paying serious attention to this problem. However, with certification it has been forced to come face-to-face with it. That is because those behind the move to certification do not want the field made up of practitioners who conduct mediation on the basis of two very different, and in many respects incommensurate, professions of origin. That leaves us with two professions, not one. Worse, it leaves us with the problem that one of them will be viewed as having less status than the other. That will not do. Rather, they want to create one profession, which means to obliterate the distinction that has made us a house divided. Thus, there is not going to be one certification (test) for mental health professionals and another for lawyers. There is going to be one test for both. Let us take the first of the two tests that will be administered, that to test whether the applicant has mastered the body of knowledge which is the subject of the field. With that in mind, let me give you my dictionary’s definition of a profession. It is “a vocation requiring knowledge of some department of learning or science.” To be sure, the professions of origin of both lawyers and mental health professionals could boast such knowledge. But on what independent knowledge would the applicants for certification as divorce mediators be tested? (We are certainly not going to test a mental health professional on his or her knowledge of the law, any more than we are going to test a lawyer on his knowledge of the principles and substantive factors that make up mental health practice). Therein lays the problem. When it comes to the substantive knowledge that informs divorce mediation practice itself, you could write it all down on the back of a postage stamp. That is because there is none. The substantive knowledge is that of the separate professions of origin of all of those who have joined together to practice divorce mediation, not divorce mediation itself. One answer to this would be to send back all mental health professionals to law school, and to send back all lawyers to a clinical graduate school. Now they would both have a common body of knowledge (to be sure, drawn from two professions, not one) upon which they could then be tested. But we are not going to do that. It is too impractical. Thus, there is no examination that can be given that will test for this substantive knowledge. The same is true when it comes to the second of the two tests. To be sure, though there are some practical (really political) problems here, it is possible to separate the wheat from the chaff when it comes to mediator competence. There are some practitioners who are very good mediators and there are some who are not, and it shouldn’t be too difficult for someone with experience to tell the difference. But how do you test whether someone is following the correct procedure when, because the field is made up of practitioners who come from different professions of origin, they do not follow the same procedure? After all, as a lawyer cannot do what a mental health professional does, a mental health professional cannot do what a lawyer does which, in the context here, is to answer legal questions, express legal opinions and draft legal documents. Ironically, even if all divorce mediators were lawyers, there would still be a problem here. That is because lawyers in the field do not necessarily follow the same procedure. Some will perform all of the legal functions necessary, including processing the parties’ divorce papers. Others will go no further than to help the two of them come to an agreement, insisting that they must then go to another lawyer or lawyers to draft the agreement. Even if the mediator is willing to draft the agreement, he or she may still insist that they each consult with their own separate lawyers before the mediator will see to its execution. Even then, some lawyers in the field will not be willing to process their divorce papers. In fact, one might properly characterize divorce mediation as a practice in search of a process. This, again, is where divorce mediation’s divided house comes in. Those behind the move for certification want to create a profession and they see certification as the means to do it. But they want it to be one profession and not, as is currently the case, two professions doing somewhat parallel, but nevertheless different things. Most important, they want to eliminate any special status that one of the current groups of practitioners has based on the fact that they have a license to practice law. In short, they want to eliminate divorce mediation’s divided house. 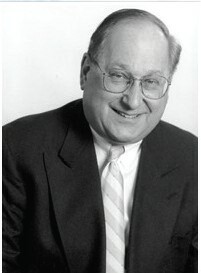 Lenard Marlow, a graduate of Columbia University School of Law, has been a practicing attorney for over fifty years. A fellow of the American Academy of Matrimonial Lawyers, he has worked exclusively in the field of family law for over forty-five years. As a pioneer in the field of divorce mediation, he is the founder of Divorce Mediation Professionals, one of the oldest and largest divorce mediation facilities in the United States. Past president of the New York State Council on Divorce Mediation, and a respected leader in the field, he has lectured extensively on the subject, both in the United States and Canada, as well as in Europe and South America, where he has conducted numerous trainings and workshops.